Overwhelmed by the mountains of tarot information out there? Having a hard time giving yourself structure and guidance as you learn? There’s no getting around it, learning tarot can be a difficult process! And there's nothing like face-to-face interaction when it comes to working with the cards. I bring my 18+ years experience reading and studying tarot and a creative focus on finding ways to engage with the card that resonate with you. My mentoring sessions prioritize a personal connection with the cards over rote memorization. After all, are you more likely to remember keywords on a flashcard or a personal experience tied to a card’s meaning? 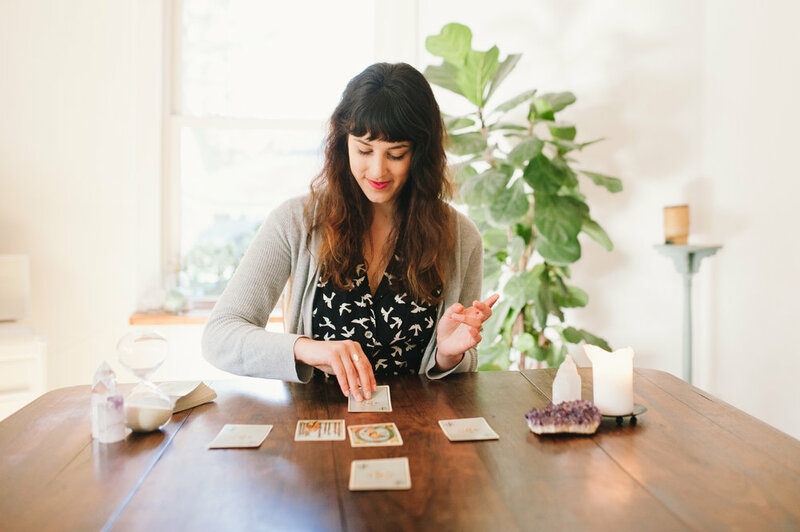 Expect useful information, inspiring exercises, and all the personal attention and support you need to develop a meaningful and sustainable tarot practice. For those interested in ongoing mentorship or working with me as a one-time resource I offer 60-minute sessions at $90 devoted to your learning process, both in-person & online. sound like mentoring might be up your alley? schedule a complimentary consultation with me below to go over your questions, needs, and goals.